More violence at the start of the American "Fourth of July" weekend, this time in Chicago [chart] and France. Just like last time and every other time, we're looking for the Bloodbath Formula in the chart for current planetary positions. This chart is for midnight July 4th in Chicago, which is more or less the epicenter of the violence. 4. Pluto "squine" Moon and quindecile her ruler Mercury. 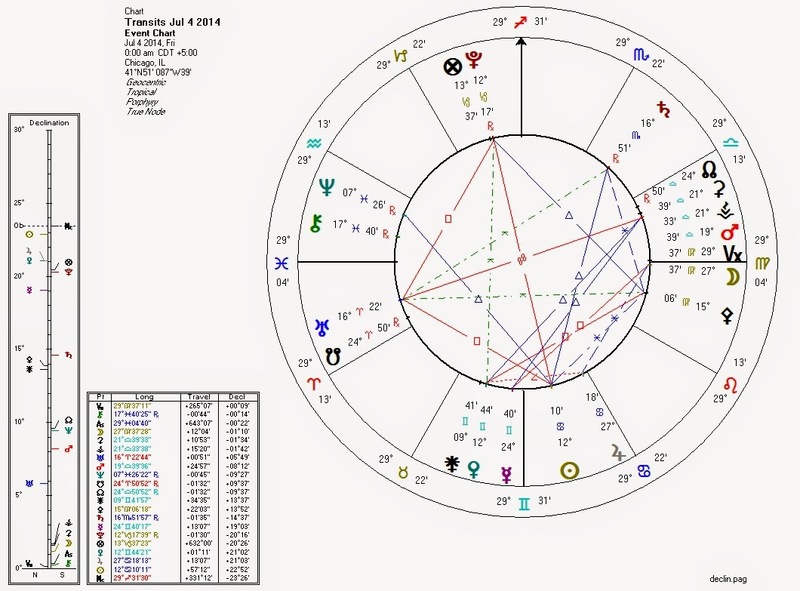 Given the tight orbs of the Sun/Venus aspects with Pluto, I suspect this may be the the worst of the violence over the rest of the Pallas/Pluto trine which subsides over the next two weeks. Here's hoping.